BLACKMORE´S NIGHT: nuevo disco "Dancer and the Moon"
BLACKMORE´S NIGHT lanzará su nuevo álbum "Dancer and the Moon" el 11 de junio en América del Norte y en 14 de junio en Europa (Frontiers Records). "Dancer and the Moon" tendrá dos ediciones, una CD y otra digipack edición de lujo con un DVD que incluye los vídeos musicales "Dancer and the Moon" y de "The Moon Is Shining (Somewhere Over The Sea)", además de una extensa entrevista con Ritchie Blackmore y Candice Night. Antes habrá el lanzamiento digital de su primer sencillo "The Moon is Shining (Somewhere Over the Sea)", el 6 de mayo. Blackmore's Night is releasing their brand new album, DANCER AND THE MOON, on June 11th in North America and June 14th in Europe on Frontiers Records. DANCER AND THE MOON will be released in 2 editions, as a CD and a digipak deluxe edition with a bonus DVD that includes music videos of "Dancer And The Moon" and of a "The Moon Is Shining (Somewhere Over The Sea)", plus an extensive interview with Ritchie Blackmore and Candice Night. Anticipated by the digital release of the first single “The Moon is Shining (Somewhere Over the Sea)” on May 6th, DANCER AND THE MOON is the band's 8th original studio album, with each disc topping the European and American Billboard's New Age charts. 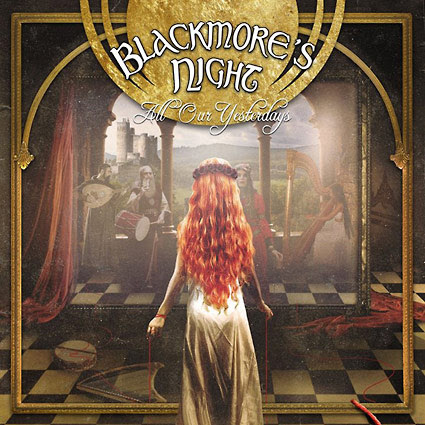 BLACKMORE´S NIGHT nuevo tema "The Moon Is Shining (Somewhere Over the Sea)"
El 18 de septiembre, Frontiers Music srl lanzará el nuevo álbum de estudio de Blackmores Night, "All Our Yesterdays". El álbum saldrá en CD y Deluxe Edition CD/DVD y vinilo a finales de este año. On September 18th, we will be releasing the brand new studio album from Blackmores Night (Official Site), ALL OUR YESTERDAYS! The album will be released on CD and Deluxe CD/DVD Edition with a LP version coming later this year. 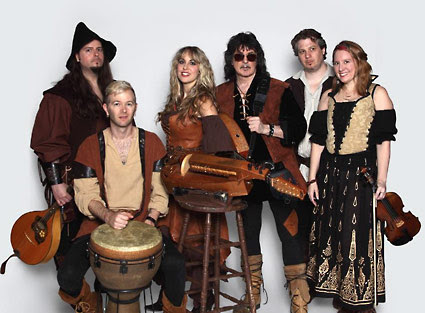 All fans of Ritchie Blackmore Official Site and Candice Night's previous Blackmore's Night albums will surely be more than happy with this latest addition to the band's stellar catalog. RITCHIE BLACKMORE: "estoy pensando en tocar rock de nuevo"
Ritchie Blackmore dice que está contemplando un retorno a sus raíces rock y dar varios conciertos el próximo año. Blackmore abandonó el rock en 1997 para formar una banda de folk medieval llamada BLACKMORE´S NIGHT con la entonces novia y ahora esposa Candice Night. Desde entonces, han lanzado nueve álbumes de estudio, y tienen previsto un nuevo disco para septiembre. En los últimos meses, han sido frecuentes los rumores sobre una reunión de RAINBOW propiciados por el cantante Joe Lynn Turner. 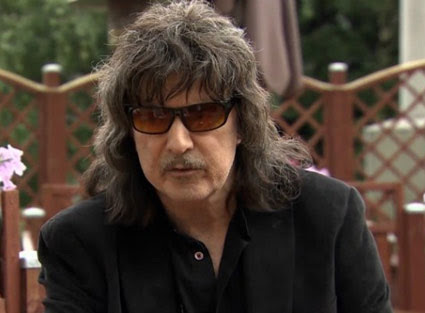 Creo que Joe (Lynn Turner) no va a ser parte de la aventura, y aun no lo sabe..."
Former DEEP PURPLE and RAINBOW guitar legend Ritchie Blackmore says that he is contemplating a return to his rock roots for several shows next year. Blackmore, 70, quit rock and roll in 1997 to form a medieval folk band called BLACKMORE'S NIGHT with then-girlfriend and now-wife Candice Night. 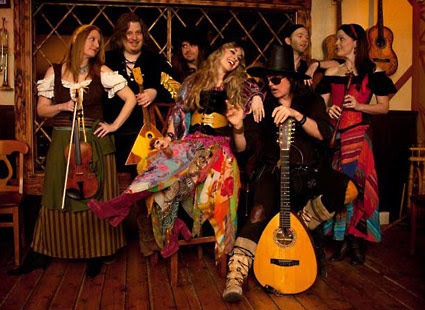 Since then, BLACKMORE'S NIGHT has released nine studio albums, with a new CD, "All Our Yesterdays", due in September. Over the past few months, RAINBOW has been the frequent subject of reunion rumors, with singer Joe Lynn Turner — who fronted RAINBOW from 1980 until 1984 and was a member of PURPLE from 1989 until 1992 — repeatedly claiming that Ritchie was "intching" to play rock music and insisting that he was in talks with the guitarist about a renewed collaboration. Speaking to the French newspaper Le Parisien for an article that was published on July 4, Blackmore was asked whether there was any truth to Turner's claims that Ritchie will reform RAINBOW and play some shows next year. The guitarist responded: "There's some truth, but also a bit of confusion and uncertainty. I'm thinking about playing rock again, just for a few days, next June, DEEP PURPLE and RAINBOW songs. But for now, I'm not decided on the persons I want to work with. I've got a good idea about the ideal candidates, but it wouldn't be fair to say anything now. I will know exactly in one month who I want to have in this band to play DEEP PURPLE and RAINBOW songs. We will probably play three or four shows in June; that's all." - J'ai entendu dire que tu étais en contact pour jouer dans un festival en France à cette époque ? - RB. C'est vrai. Je pense que Joe (Lynn Turner) ne fera pas partie de l'aventure, et il ne le sait pas encore. 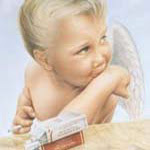 Il fait son truc de son côté, je l'aime bien, et j'ai réalisé de bons albums et de bonnes chansons avec lui, comme "Street of dreams". Mais je pense faire un mélange dans le groupe, avec des gens connus et d'autres pas du tout. C'est mon état d'esprit en ce moment, et tu es la première personne à qui j'en parle. BLACKMORE´S NIGHT: detalles de "All Our Yesterdays"
El 18 de septiembre, Frontiers Music srl lanzará el nuevo álbum de estudio de Blackmores Night, "All Our Yesterdays". EL CD, CD / DVD y versiones digitales están disponibles en Amazon, en iTunes se incluye la descarga instantánea de la canción "All Our Yesterdays”. ** La fecha de lanzamiento es el 16 de octubre pora los vinilos y la "Box Set Limited Collector’s edition". BLACKMORE´S NIGHT: nuevo tema "The Other Side"